The main sea defence strategy produced by H.R. Wallingford and proposed by NNDC is now lost. Fortunately NNDC has undertaken interim works under emergency powers at it’s own expense. Let us be crystal clear about these interim works (the purchase and placement of approx. 4000 tonnes of rock), this will not be the final solution, it simply buys us some time to seek the final solution i.e. 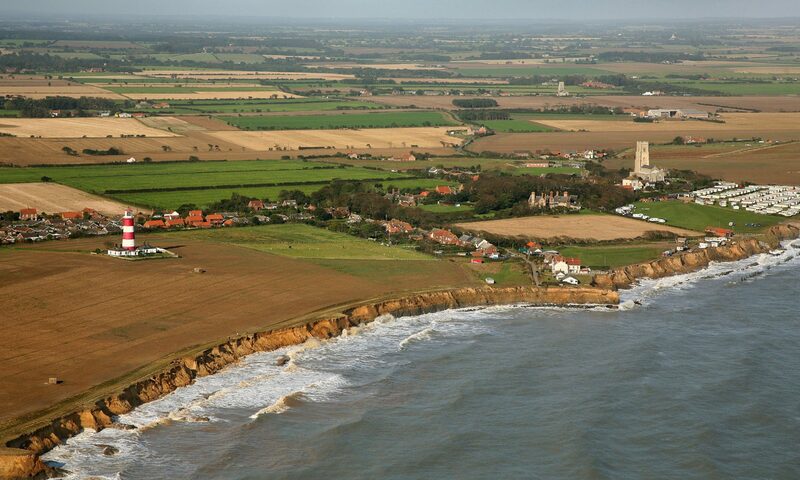 adequate, effective sea defences for Happisburgh in it’s entirety. Whilst our District Council Officers and elected members have lived up to their responsibilities, in what are financially difficult times for local authorities we must continue to impress upon central Government that simply because we have responsible and effective local Government does not mean that they are ‘let off the hook’. Absolute responsibility for the protection of all it’s citizens rests with the Government of the day and the Whitehall brigade. I believe there is a basic human rights issue here under Article 8 of the Bill of Human Rights adopted by this nation in the Autumn of 2000. Central Government in the form of DEFRA is in dereliction of it’s duty to many around our coastline. They are failing to protect the individual’s right to enjoyment of his or her home and family life, when it is quite within their capability to protect and ensure said enjoyment. I believe the Coast Protection Act 1949 is now a 53 year old ‘blunt instrument’ with which to tackle coast protection in the 21st century. That act ( and indeed the revetments/defences constructed in the late 1950’s and 60’s as a result of it) was created and brought in to being when we as a nation were effectively destitute after the second world war and long before global warming was ever thought of. Not only is the act itself outmoded the DEFRA interpretation of it is somewhat questionable. Why do we not have a level playing field with non cliff bound communities? It seems to me that if you happen to be a community living with cliffs then DEFRA discriminates against you. That may be okay if your cliffs are of granite as opposed to ours which are clearly just earth and clay, making both them and all around extremely vulnerable. Here in Happisburgh we have to endure the ‘Westminster double whammy!’ not only are we coastal but we are also very much a rural community. The Government of today and it’s Whitehall mandarins seem to be hell bent on the persecution of rural communities and it appears, some coastal communities. This is not just unfair, it is a contravention of our basic human rights. All this at a time when the Government has slashed financial support for District Councils thereby making life not just in rural coastal areas but everywhere, that much more difficult than before. My message to central Government, Whitehall mandarins and indeed DEFRA is quite simple really; we are sick and tired of your indifference (in some cases incompetence), we are sick and tired of your finding any and every excuse to do nothing. Get off your backsides, act now and act in our interests not yours. If you agree with my views e-mail Margaret Beckett MP, Tony Blair MP and DEFRA. Please put your own comments and feelings on the petition or the forum.